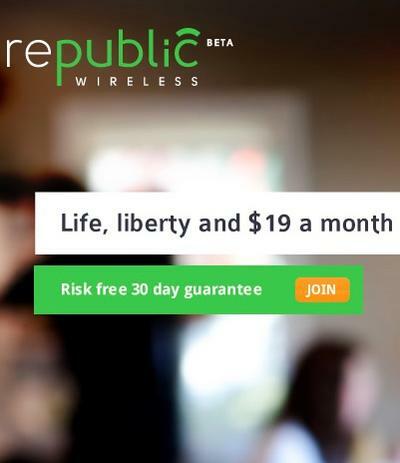 The rumors were true: Republic Wireless today threw their disruptive hat into the mobile carrier game, launching their hybrid cellular/Wi-Fi service with a $19/monthly unlimited plan in the United States. Officially the service is a Beta, but Republic is open for business all the same. $199+tax up front gets you an LG Optimus S Android phone (the device supported at launch), and unlimited voice, text and data with no commitments or contracts. The service is advertised to work throughout the U.S., and also support calling from around the world to the U.S. via Wi-Fi (calling from the U.S. out to the rest of the planet isn’t yet supported). Your first month is included with the price of the phone, and service will run $19/month (plus tax) after that. There is a “catch,” of course, and Republic’s self-styled renegade disruptor image goes so far as to include a, “What’s the Catch?” link on their site that explains the fine print. So, over time, if you don’t bring your CUI back into a reasonable range, we’ll help you find a more suitable, traditional cellular carrier. Okay, so how much is too much? What does Republic consider to be a reasonable range of cellular usage? Even assuming 0% wifi usage, for example, you could consume 550 minutes, send 150 texts, and download 300 megabytes of data without crossing the community’s fair use threshold. At first blush that might not sound like enough connectivity, but remember that’s “assuming 0% wifi usage.” If you’re connected to Wi-Fi most of the time, that might actually be plenty to get by. Imagine your phone is always connected to Wi-Fi at home and at the office – that takes care of weekday mornings, afternoons and some evenings. So you’re looking at some evenings, and some of the time on weekends – you know, when you’re “out.” Even at those times you might wind up at a friend’s house or in a cafe or bar with open Wi-Fi. Depending on your usage patterns, 150 texts and 300 MB for cellular-only situations might just go a long way each month. The ultimate in smartphone freedom would be using the phone you want, on the network you want, whenever you want. We agree… and are working toward that ideal. For now, Big Cell makes the rules. Android phones, Wi-Fi and the Web fuel our optimism that the future could look very different. What about you? Any of you game to give Hybrid Calling a shot?